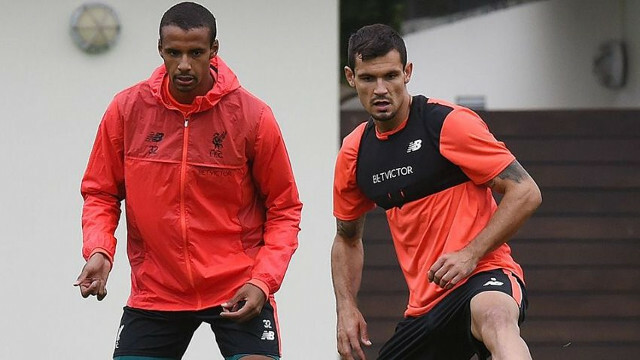 Croatian Dejan Lovren and Cameroonian Joel Matip speak to each other in German, which is proving mutually beneficial! The defenders have kept consecutive clean-sheets in the Premier League and are starting to form a very solid partnership, with Lovren showering his team-mate with praise. In fact, in the top flight, Matip’s started 11 games and Liverpool have conceded just eight goals, racking up three clean-sheets in the process. “It’s always easier when you have the feeling with your partner and know each other,” Lovren told the official Liverpool website. “To be honest we’ve done it quite well, even in pre-season, [it was] really quick – I don’t know why, maybe because he’s speaking German and I’m speaking German, maybe that’s the funny thing. Defensively, we’ve massively improved from the first two games of the campaign – where we conceded five goals. Matip and Lovren’s relationship, as well as the improvement of Loris Karius, is a big reason for this. If we can continue being solid at the back, we’re going to be there or there abouts at the end of the season because our attack will always score goals. Against Sunderland last time out, we proved we can score against teams that park the bus, while we’ve thrived in open games – like against Watford, Leicester and Palace.